Recently my daughter Alice and I visited my brother in South Africa. Whilst there we were lucky enough to have a day in Cape Town and a visit full of pathos to the South African Jewish Museum. In a beautiful campus setting underneath Table Mountain this museum depicts the many thousands of Jewish people who fled Lithuania in the later part of the 19th century. 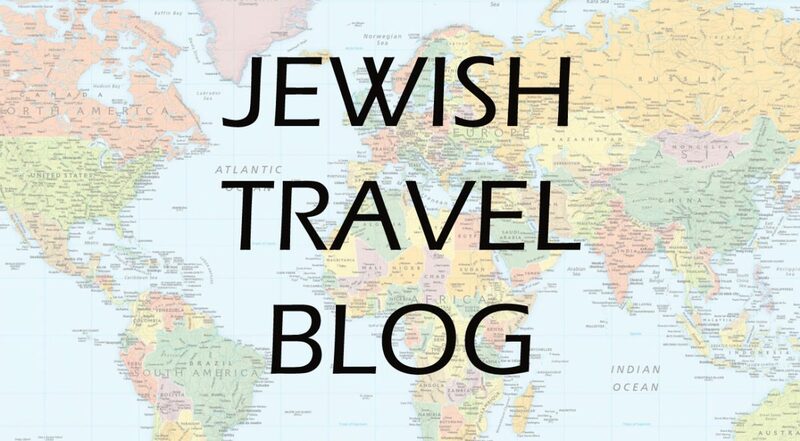 The greatest Jewish migratory movement in history took place between 1881 and 1914 when three million Jews left Eastern Europe to escape religious discrimination and poverty. Approximately 40,000 individuals, mainly from Lithuania, arrived in South Africa, amongst whom were all four of my grandparents. The museum was impressive, evidently no expense spared, built in Jerusalem stone. 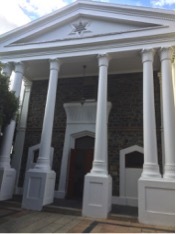 It backs onto the original small synagogue constructed in 1863. 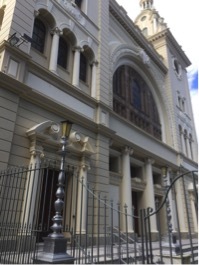 In 1905, as the number of immigrants grew, the tiny synagogue became too small and a grand synagogue was built next door. 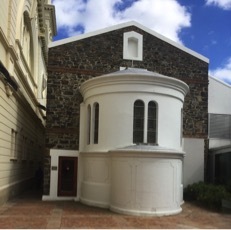 These two synagogues, together with the new museum structure, form the South African Jewish Museum, officially opened by Nelson Mandela in 2000. It’s worth quoting from Mandela’s 1998 book, The Long Walk to Freedom” In my experience I have found Jews to be more broad minded than most whites on issues of race and politics, perhaps because they themselves have historically been victims of prejudice. As well as depicting the history of South African Jewry, there was an entire reconstruction of the shtetl, with the familiar Friday night table set for us! 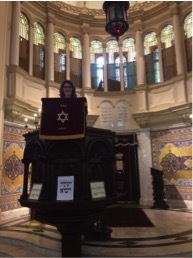 We returned to the large synagogue for the Friday night Kabbalat Shabbat service, and were put through severe questioning by the vigilant CST! Once through that ordeal the service was beautiful, complete with a choir and the reminiscent Friday night tunes of my childhood. It was an inspiring visit and whilst our own plans for the Norwich Jewish Community and Heritage Centre are significantly more modest, I came away with lots of ideas.! I am really looking forward to seeing our vision for the new building become a reality.